The last few weeks of school are always extremely busy both for teachers and students. I've been too busy to fish (mostly anyway) so other than one or two quick trips for bluegill, I haven't really been out much lately. This weekend that should all change. 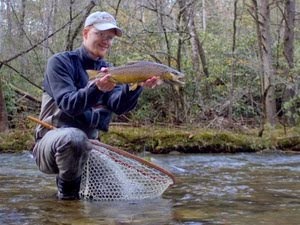 Troutfest is happening in Townsend, Tennessee this weekend. I'll be heading up that way on Sunday to take in the festivities which include such big names as Joe Humphries, Lefty Kreh, and Bob Clouser all doing various demos and seminars. Best of all, everything is free! I highly doubt that I'll spend the whole day there. 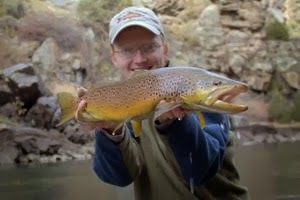 Instead I'll enjoy a few hours in the park on some favorite water hopefully catching some trout. The evening hatches are supposed to be great right now and the predicted rainfall should bring water levels up and trigger better than average emergence of mayflies and stoneflies. Light cahills should be hatching now as well as little yellow stoneflies and probably a hodge podge of other insects. 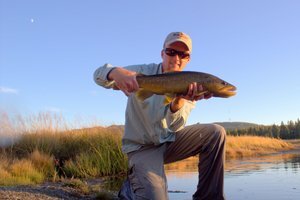 This is the time of year to catch good fish on dries. 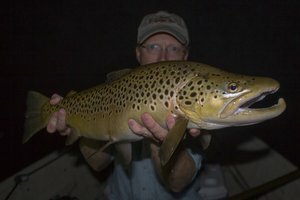 The low light conditions during the best hatches coincide with the only legal time you can fish that also happens to be prime time for large fish to be feeding. 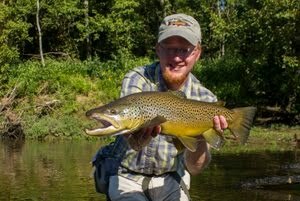 You rarely will find nice fish rising in the middle of the day but that all changes during the banner evening hatches.